Facebook has turned its attention to music videos in its latest move to offer more video content to its users. The social media company began moving into video in the last few years, now showing content from BuzzFeed, Vice and other publishers, in addition to its user-generated content. 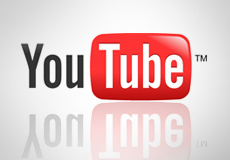 Music videos would continue the trend and up the competition between Facebook and YouTube. Facebook currently has 1.4 billion worldwide users, and adding video is likely to extend the time that viewers stay on the site. According to The New York Times, Facebook has recently held “preliminary discussions” with the major record labels in an effort to ink licensing deals. Facebook states that it is not planning a streaming music service, however, denying reports from news site Music Ally. Its efforts to build video offerings — with user-generated content and links to BuzzFeed, Vice, CNN and ESPN content — has been successful. Ampere Analysis, an independent video analytics firm, states that Facebook had approximately 315 billion video views in the first quarter of 2015. Facebook’s video platform would not only put it in competition with YouTube and Spotify but also with Vevo, the company founded by Universal and Sony to make their videos available through YouTube and other platforms.